The rise of in-house counsel: What does this mean for law firms? In-house counsel teams across Australasia are consolidating and growing bigger amidst a market that is more focused on risk and liability, and the consequences of this result in a change in the type of work law firms are seeing. 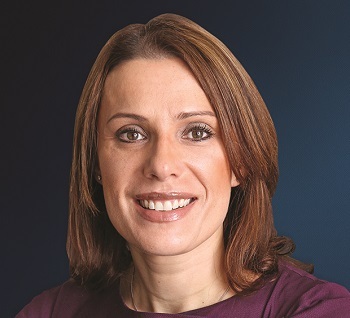 Jackie Solakovski, the head of Australian firm Lander & Rogers' corporate practice, told NZ Lawyer’s sister publication Australasian Lawyer that there are a number of reasons behind the rapid growth of in-house teams. But the consequences of this trend have flow on effects to both external law firms, and the way that business is done. Solakovski says that in-house teams are certainly feeling the pressure of being a cost centre in the business and are becoming increasingly price conscious. The good news is that Solakovski says the role of external law firms won’t go extinct: The type of work they take on will simply change. Because in-house teams are and will continue to be stretched, there is a growing role for external firms to play in larger commercial matters and specific areas of expertise. “Certainly a lot of general commercial work will be done in-house now. What we are seeing is that we tend to be used for bigger matters where they do not have the internal resources or the expertise,” she says. But what of law firms losing their best private practise lawyers to in-house positions? Katherine Sampson, the managing director of Australian legal recruitment agency Mahlab Recruitment, previously told Australasian Lawyer that market trends have seen this issue of retention in the legal space emerge. But Lander & Rogers' Solakovski says while this will always be a struggle because a selling point of corporate lawyers is their transferable skills, there are also positive ways to view the problem. And on our side of the ditch, Simpson Grierson’s marketing and business development director Tim Orsman told NZ Lawyer that he sees the same trends taking place in New Zealand. Like Solakovski, he says in-house clients are having to manage with tight budgets and demonstrate value to their organisations. Orsman’s observation is that the in-house counsel he talks to are busy and getting busier because they have to manage significant and changing legal and regulatory risks. As a result, he says it’s important for Simpson Grierson to understand the business of its in-house clients, provide advice that is commercial and facilitates business decisions being made, and keep them up-to-date with the legislative and regulatory issues that impact on their organisations.